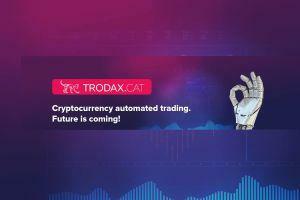 What is Trodax.CAT? It is a very user-friendly trading bot with risks hedging that allows you to select a trading strategy in two clicks. It is not just an automatic cryptocurrency trading bot. It’s a service that makes you richer and saves your free time while giving you a peace of mind. Trodax has its own innovational algorithms and hybrid intelligence. Crypto enthusiasts trust Trodax due to its competent team of traders with a 10-year experience in trading and cryptocurrency trading. Developers came up with the idea of creating the service when they had a look at the situation on the cryptocurrency market: a lot of new traders bought cryptocurrency and didn't know how to benefit efficiently from it. Lack of knowledge and skills made their crypto assets a burden for them rather than a source of an income. Trodax’s developers wanted to change the status-quo and therefore they have created a service that gives everybody (regardless of their background or the lack of it) an opportunity to earn money by trading without even taking part in the process. To start trading with Trodax a user should simply connect the bot to his account on a cryptocurrency exchange via API key and choose the trading mode: manual or automatic, and then select a trading strategy according to his preferences. It’s as easy as registering an account on Facebook! Trading with Trodax is clear and transparent, you can follow all the deals it makes. Currently, daily number of open trades is 28 075 and daily volume of managed assets: 2 159 BTC. Trodax is hedging your risks providing you with 4 strategies such as careful, reasonable, active, optimistic. All the strategies differ in settings of trading, such as averaging orders steps, take profit level, first order. If you trade on your own, you should think about all these numbers and set them up manually. But when you use Trodax, the service does it for you! It is especially important when the market is in downtrend. The basic trading strategy, the careful one, perfectly shows itself at a bearish market although it requires more size of reserve than more active ones. When a trading bot (Cryptocurrency Automated Trader or C.A.T) buys crypto, it automatically calculates the Take Profit level, according to the exchange commission and the specific features of a certain cryptocurrency. As soon as the price of a cryptocurrency achieves an estimated level, the algorithm sells it and opens a new transaction. If a market doesn't achieve an indicated price and your bought cryptocurrency is getting cheap, the algorithm buys this asset again making so called «averaging». After averaging, the level of Take Profit is recalculated to average price of cryptocurrency volume that have been bought. Trodax uses the hybrid intelligence to succeed on the market. 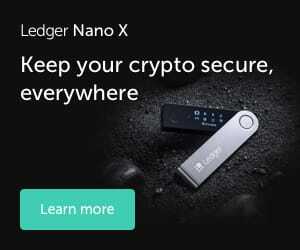 Its main task is to select a cryptocurrency pair for the next transaction and to enter the market at the right moment. Trodax’s hybrid intelligence is still developing and makes Trodax so special among other trading bots. The main goal of the developers is to reduce the risks of automatic trading, providing an average monthly profit of 5-10% of the deposit. Most profitable ad risky trading strategies will be available soon. All the traders can also benefit from Trodax’ s affiliate program and allow them to earn 30% of the very payment made by their referrals. You can join Trodax and try a 14-day trial version for free!